This creeper has a hidden coffin compartment in the sole. Love the shoes and they fit great! I got these in five days, which was just yesterday. They're absolutely amazing! They're very sturdy compared to T.U.K.s, which is really nice. The coffin compartment is pretty damn cool too. 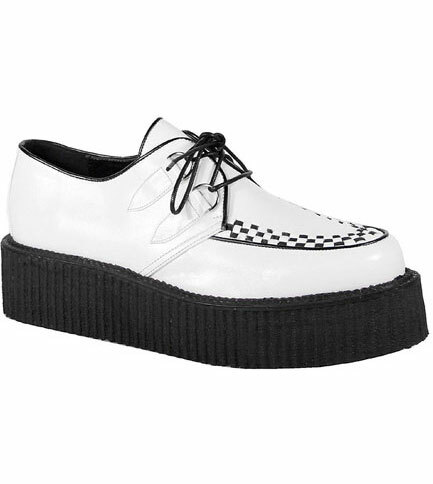 Overall, these are fantastic creepers and I already love them. I just received these today, and I absolutely adore them. 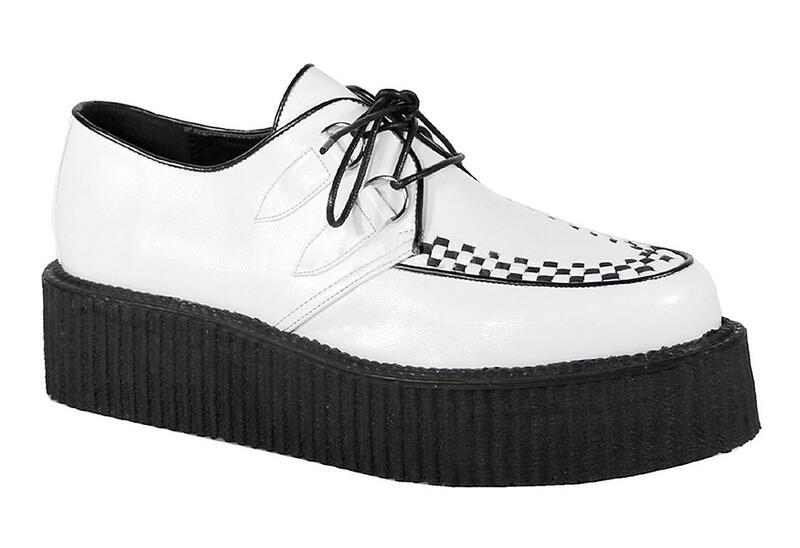 This is my first pair of Creepers and I can tell you now I am going to be buying several more pair of these type of shoes. They are very sturdy and light-weight... or maybe I'm just used to heavy shoes from hulking around boots all the time. Awesome shoe, you should definitely invest in these.